Walking with crutches can be a ‘pain in the shoulder’! When you place regular tips on firm ground and swing through, your shoulders can’t rotate. 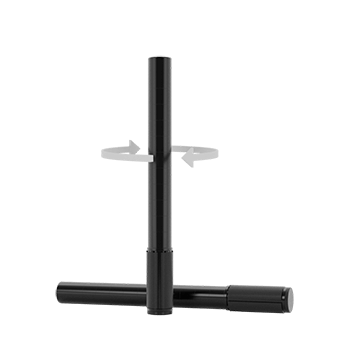 This tip assembly has solved the problem by allowing the rubber tips to remain securely planted on the ground, while the shaft that connects to your SideStix can freely rotate – INSIDE the rubber tip. These tip adapters can be used with any rubber tips that are designed for ¾” shafts.